Perth has so many fantastic eating-out options, including restaurants and cafes catering for a wide array of dietary requirements! 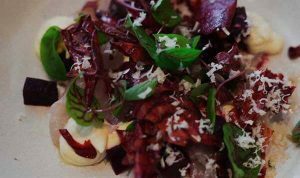 We have put together a short list of fantastic restaurants in and around Perth offering gluten-free eating-out options. Please note two things, this list is by no means complete (as Perth is packed full of scrumptious dining options) and secondly, it’s always best to call ahead and confirm your dietary requirements. The Grosvenor Hotel is a wonderfully restored heritage pub in the Perth Mint precinct of Perth. They offer a tasty range of gluten-free meals on their menu. Post is located within COMO The Treasury located at the corner of St Georges Terrace & Barrack St.
Miss Maud Restaurant has been serving Perth’s best-loved and most celebrated Smorgasbord buffet Breakfast, Lunch and Dinner for over 45 years. Simply chat to the staff on arrival about their gluten-free options. C Restaurant is Western Australia’s only revolving restaurant and features stunning views of the city. Simple discuss your dietary requirements with your waiter. Situated right across the road from the Mantra on Hay Street, this great little place offers fantastic Thai food options for lunch and dinner. Zamia Cafe can be found within the beautiful Kings Park and offers fresh simple food with lovely gluten-free options. Petition Kitchen showcases the best WAs local and seasonal produce. Find out about their gluten-free options with a quick call. Sayers Sister love local produce with cakes and slices baken in-house and offer a large variety of gluten-free dining options. Pearth Organic Cafe offers wholesome, healthy, organic food with a range of gluten-free, vegen and vegetarian options. Specialising in seafood, A Fish Called Inglewood can be found just 10 minutes from the Perth City Centre. They offer casual dining and have a gluten-free fish & chip specialty. Cafe Somerville offers traditional Asian cuisine with an innovation modern twist and a separate gluten-free menu. Cafe One58 offers delicious home-made meals, with gluten-free and vegen menu options too. Considered to be Perth’s finest buffet, the Atrium offers stunning seafood, delectable antipasto, a comprehensive Asian section and a wide choice of Western and European dishes. The Epicurean offers a sophisticated open-kitchen dining experience nestled within the luxurious Crown Towers Perth.